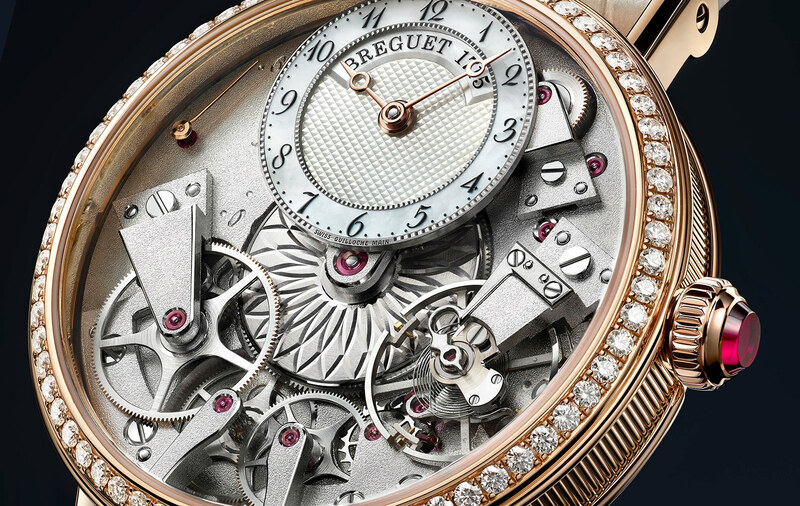 Having unveiled the first ever Tradition for ladies not too long ago at Baselworld, Breguet has just announced another variant of the model for Baselworld 2017 that takes place in March next year. While the first Tradition Dame 7038 was in white gold with a blue-grey mother of pearl dial, the latest version offers a rosier look. 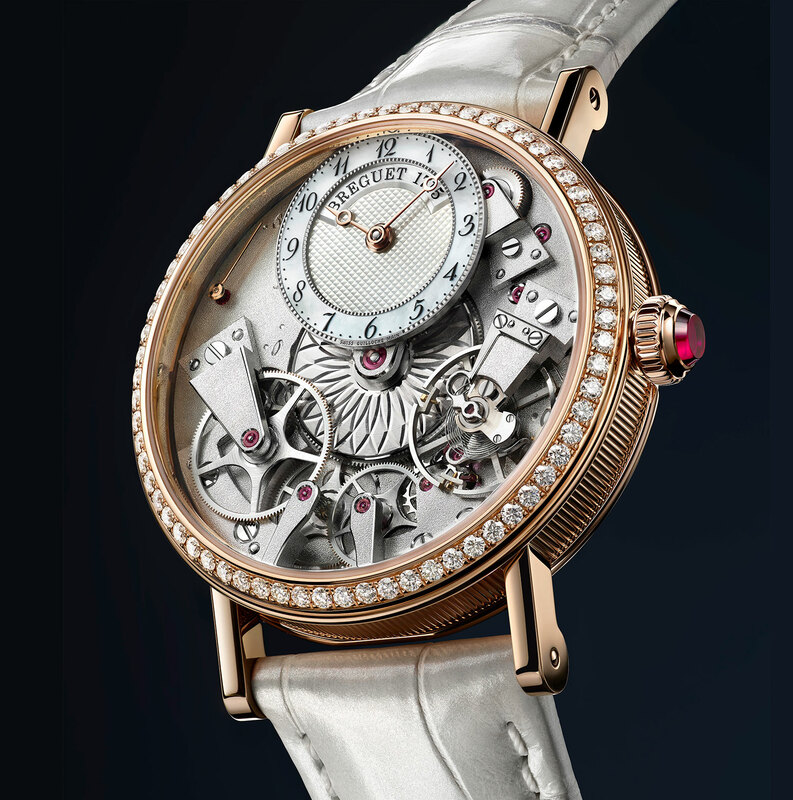 The case is 18k pink gold and the dial is an iridescent white mother of pearl decorated with hobnail guilloche in the centre. The rest of the watch remains the same as the original model, with the 37mm case featuring a bezel set with 68 brilliant-cut diamonds and a crown topped with a synthetic ruby of the sort used in watch movements. Plated in rhodium for a bright silvery finish, the movement is the calibre 505SR that’s automatic and equipped with the pallet fork and hairspring in magnetism-resistant silicon. The new Tradition Dame 7038 should be available sometime in 2017. Though the price has not been announced, the first version cost US$38,900 or SS$55,900, so expect this to be priced similarly.